The 2018 Austin Green Awards will be celebrated on Wednesday, October 24th from 6 - 10 p.m. at The Sunset Room, 310 E. 3rd Street, in downtown Austin. Early Bird tickets are now on sale through October 4th, and can be purchased at www.atxgreenawards.org. Opening remarks will be provided by Dr. Colette Pierce Burnette, Ed.D., President and Chief Executive Officer of Huston-­‐Tillotson University. Dr. Burnette is the first female president and CEO of the historic Huston-­Tillotson University, Austin’s oldest institution of higher learning and only historically black college and university. Tom Hatch FAIA, Founding Principal of h+uo architects, LLP Austin – Recipient of the 2017 Austin Green Awards Project of the Year, The Michael & Susan Dell Foundation Learning Center at Lakeline Plaza, Tom brings an extensive and varied background to his architecture practice, infusing green building into his designs, and creating a healthy and welcoming environment for all. Margaret Robinson, PLA, LEED AP, Founding Principal of Asakura Robinson Austin – With more than 30 years of planning, urban design and landscape architecture experience in Texas, California, and abroad, Margaret is an expert and advocate of sustainable design. Her professional interests lie at the intersection of sustainable landscape architecture, creative public space design, and resiliency. Pauline Souza, LEED Fellow, AIA, Studio Partner|Director of Sustainability WRNS Studio San Francisco – Pauline has focused her 35+ year career on creating sustainable environments and is responsible for implementing sustainable principles and guiding benchmark systems into all of WRNS Studio’s projects, including Hawaii Department of Education and Microsoft. Rives Taylor, FAIA, LEED AP, Principal / Co-Director Design Resilience, Gensler Houston – Rives directs Gensler’s Design Resilience teams and is a recognized global expert in resilient and sustainable design. Rives has contributed to several publications including WIRED and Fast Company and is a member of the prestigious AIA Fellowship. Rives has taught at the University of Houston and Rice University for the past 25+ years. Sponsors include Austin Energy Green Building as Headline Sponsor; Glumac, Walter P Moore, Page/, Integral Group, Martinez Moore, Architectural Engineers Collaborative, dwg., Lake|Flato Architects, Center for Maximum Potential Building Systems, asakura robinson, City of Austin Office of Sustainability, Prosoco, Texas Gas Service – ONE Gas. In-kind sponsors include Spoon & Co. For a full listing of sponsors and sponsorship opportunities for firms and individuals, go to www.atxgreenawards.org. 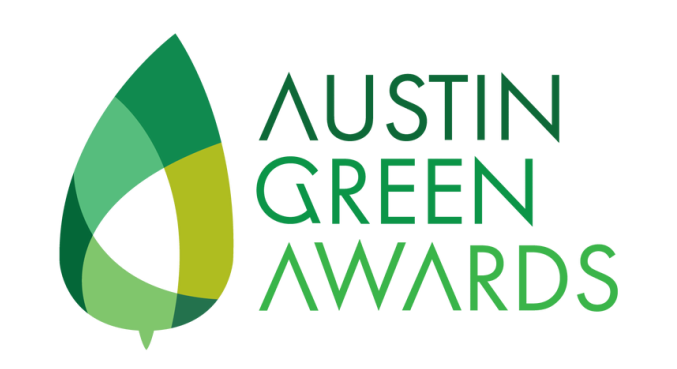 For more information on the 2018 Austin Green Awards and to purchase tickets, go to www.atxgreenawards.org, email info@austingreenawards.org, or follow on social media Twitter (@atxgreenawards) and Instagram (atxgreenawards). The Austin Green Awards are conceived and convened as a personal initiative of Travis Albrecht, AIA of Gensler; Dirk Kestner, P.E. of Walter P. Moore; Bungane Mehlomakulu, P.E. of Integral Group; Gail Vittori, of Center for Maximum Potential Building Systems. The Center for Maximum Potential Building Systems serves as fiscal sponsor.